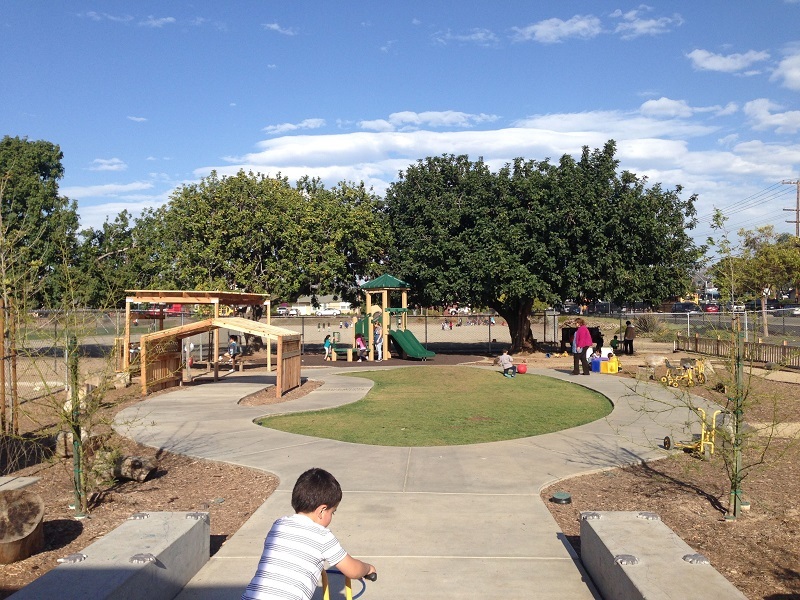 Located on the Hilltop Elementary School Site in Chula Vista, The Hilltop Child Development Center provides a healthy outdoor space for young children to play, learn and connect with the natural world. The design program includes: nature based settings for children to interact with and learn from, a garden to promote healthy eating, and more usable space to promote movement and gross motor activity. As a new facility, The Hilltop Child Development Center offered a blank slate to create a healthy outdoor space for young children to play, learn and connect with the natural world. The 18,000sf site supports approximately 100 students age 3-5. Working closely with the teachers and staff, the design supports outdoor play and learning and strongly ties to the school’s curriculum serving as an extension of the classroom. The design includes an active and passive play area, outdoor classroom space, opportunities for gross motor activity and movement, setting for dramatic and exploratory play, functionality for teachers and staff, shade, and wildlife attaching native plants. The Habitat gARTen (phase 2 of the project) designed and built at a community volunteer project. Please see Hilltop Habitat gARTen for more information. Project Management, Designer, and Construction Observation.